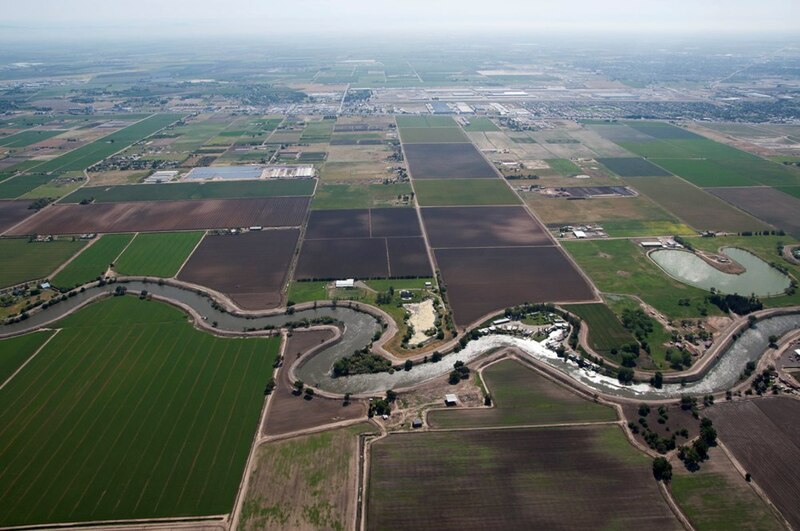 The San Joaquin River, shown here near Stockton, is the second longest waterway in California. American Rivers, a conservation group, argues that too much water is taken out of the river. Click image to enlarge. Because of an outdated system of dams, levees, and water diversions as well as a potential change in its management plan, California’s San Joaquin River is the nation’s most endangered waterway in 2014, according to American Rivers, a conservation group. American Rivers has published the rankings annually since 1984. The list attempts to capture the spirit of the times. It is not scientific. It is not quantitative. It reveals which rivers are in need of a champion in that year. Consider southern New Mexico’s Gila River, for instance. Ranked fourth on the list, the last undammed river in New Mexico is a target for development thanks to a legal settlement with Arizona a decade ago that divided the river’s water. New Mexico can grab up to $US 128 million in federal subsidies to build a dam-and-canal system, which would end up costing several times more than the feds are offering. Or, New Mexico could choose a conservation option, for which federal aid would be reduced by half, and keep a sportsman’s paradise relatively untouched. The selection deadline is December 31, thus the Gila’s appearance on the list this year. In California these days, as a deep drought aggravates longstanding tensions and depletes reservoirs, every water decision seems monumental. But drought alone did not push the San Joaquin to the top of the chart, said American Rivers representatives. John Cain, who works on river restoration and flood risks in the group’s California office, told Circle of Blue that the San Joaquin would have earned the top ranking even without the record-setting dry cycle. The major decision Cain speaks of is an update to the state’s comprehensive water management plan for the San Francisco Bay and the Sacramento-San Joaquin Delta. The San Joaquin is one half of a watershed that drains 40 percent of California before flowing into the largest estuary on the West Coast. The Bay-Delta water quality plan will set goals for how much water will flow in the river during the months important for salmon and steelhead trout. The plan also determines salinity targets for the southern reach of the delta. Delayed by the drought emergency, the new water quality plan should be finalized later this year, Cain said. Below are American Rivers’ ten most endangered rivers for 2014. Dams, flood risks, and energy development are all major threats, as well as pollution. Threat: Outdated dams and levees, and insufficient river flows. Threat: Diversion of water across the Rocky Mountains to cities on the Front Range. Colorado is developing a state water plan this year. Threat: A levee in Missouri proposed by the Army Corps of Engineers that would cut the river off from a natural flood plain. Threat: Water diversions to gain access to federal dollars. Threat: A dam owned by Stanford University that is 90 percent filled with sediment. An advisory group will make recommendations this year about what to do with the dam, including removal. Threat: State law that exempts agriculture from needing a water withdrawal permit. Threat: Some 15,000 new oil and gas wells have been proposed for the area, leading to concerns about water pollution and excessive groundwater use during the energy mining. Threat: A fish passage facility at Buckley Dam that was built in 1941 and is no longer useful. Threat: Pollution from urban pavement and from broken sewer pipes. The state’s General Assembly appointed a committee to recommend a clean up plan. Their proposal could be out as soon as May. Threat: The transportation of industrial equipment through a Wild and Scenic River corridor. As tall as a house and as long as a football field, these megaloads move equipment manufactured in Asia to the oil fields of Alberta.